Roger Banks, who was well known to many in the telecommunications industry, passed away in January 2018. He retired as Telecom Australia?s Director of Business Development in 1988, having made significant contributions to Telecom?s commercial development and customer focus. His early career included significant leadership in CCITT?s switching studies. This obituary outlines his life from the early days in Victoria, through his career with the PMG and Telecom, to his post-retirement contributions as a board member and supporter of engineering education. Roger Banks, who was well known to many in the telecommunications industry, not only for his work in Australia but internationally, passed away suddenly in January this year. It is some time since Roger retired from Telecom Australia and this obituary seeks to record the work that he did and the contribution that he made professionally and personally as a tribute to him. Those who knew Roger well will mostly recall a very congenial and outgoing personality. Roger spoke in a clipped voice and gave the impression that he might have been born in England. In fact, when he told this author of his early days in Brighton, I initially assumed that he meant Brighton, UK, but he really meant Brighton, Melbourne. However, his parents had only recently arrived from England by the time he was born. Roger?s father, Raymond, was an electrical engineering graduate from Birmingham University who had joined the British General Electric Company and was sent to Australia in 1928 as branch manager in Perth and then Melbourne. Raymond married shortly after, and Roger was his first child, in July 1930. Roger attended Brighton Grammar until 1948 where he was school captain and dux. He shone intellectually and as a leader, and was a good all-rounder in sport. Following school, Roger became a PMG (Postmaster General?s Department) cadet, with an associated scholarship to Melbourne University to study electrical engineering. After two years, he transferred to full-time study and graduated with a bachelor?s degree in 1953. Roger?s initial assignments with the PMG were in long line work in western Victoria, and included specialised tension work on telegraph wires in the Bendigo area and other lines maintenance work from Geelong to the South Australian border. The PMG was organised on State lines in those days, and bore the clear organisational traces of its origins as an assembly of Colonial Post Offices until 1988. He did not hide his light under a bushel in western Victoria, however, and wrote a paper on line-work repair practices to gain some visibility in the organisation. It clearly worked, because he was called on to assist in fault repair operations on the systems connecting Perth and Adelaide. In addition, he gained promotion from Engineer Grade 1 to Grade 3. In 1955 Roger won a public service scholarship for young engineers, which enabled him to go to the United Kingdom to study developments in switching technology. Roger?s specific program involved spending around three months with each of five companies that were involved in crossbar switching developments at the time, including GEC, STC and the British subsidiaries of Ericsson and Siemens. While in the UK Roger met his future wife, Molly, and they married in 1956 in Melbourne. Roger developed substantial knowledge of switching technology during his overseas scholarship and subsequently was well placed later to assist the PMG in selecting the main vendor for its own crossbar system. The tender for automatic crossbar switching systems for major telephone exchanges was a significant development amongst telecommunications operators worldwide in the 1950s and 1960s. The Australian PMG chose the Ericsson system. Roger wrote a detailed paper on crossbar switching, which was published in this Journal in 1961 and is reprinted in this issue. In later years, the Ericsson AXE, whose development flowed from Ericsson?s global switching initiatives at this time, became the primary switch in the PMG?s and later Telecom Australia?s network until the 1980s, when stored program controlled and other digital switching technologies were adopted. In the wider world, crossbar continued to be the major switching technology for much longer, particularly in developing economies. From 1961 Roger participated as an Australian representative in the work of the International Telecommunications Union (ITU). Because of his work at the forefront of switching and engineering planning, he was appointed as chairman of the CCITT Special Autonomous Group on National Automatic Networks from 1965 until 1968. (CCITT was the Consultative Committee for International Telegraphy and Telephony of the ITU.) CCITT work was part-time and the various Working Groups and Special Autonomous Groups met at various places, but mostly Geneva, throughout the year to progress their standardisation and development work. During the period in which Roger chaired the Group, it met in Montreal, New York, Stockholm, Munich, Tokyo and Melbourne, as well as in Geneva. Figure 1. 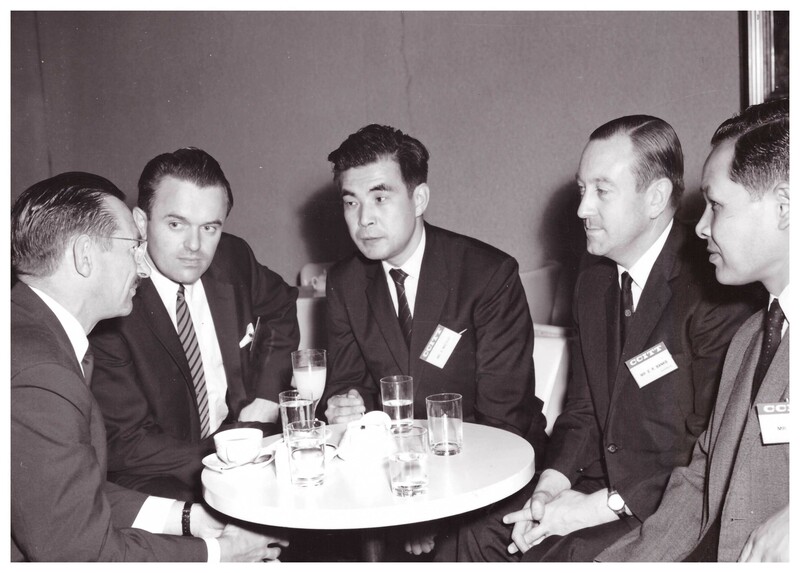 Roger Banks (second from right) chairing a CCITT Special Autonomous Group meeting in Tokyo in 1967. One of the achievements of the Group was the completion and publication of a handbook called the Manual of National Automatic Networks. In June 1964, Roger presented the Group?s plenary report in Geneva. The Handbook was published in 1964 in the official languages of the ITU: English, French and Spanish. Within the ITU, the Handbook became something of a ?best seller? and an important source of advice for engineering switching planning and operations, particularly in developing countries. Even in the late 1990s, when digitalisation was well underway, regulators and engineers from developing countries mentioned to this author their continuing indebtedness to the Handbook for assisting their work. Roger was able to facilitate cooperation within groups such as the Special Autonomous Group by his continuing engagement with people and unfailing good humour, and sense of humour. He was invariably regarded as a pleasure to work with, and this extended to all of his personal and professional dealings with others. In the mid-1950s, the PMG resolved to develop and implement a national telephone plan for the transformation of the Australian system to an automated national network with an integrated automatic dialling system (Moyal 1984, pp. 223-224). At last the State-based organisations reflecting the historically diverse approaches of Australia?s separate colonial administrations would be integrated in technical and operating terms suited to the times. The Automatic Network and Switching Objectives (ANSO) committee was established within the PMG under Ron Turnbull, superintending engineer. A more comprehensive and integrated approach to national planning developed as a result, and the Community Telephone Plan was launched in 1960. Roger contributed to the national planning function during the 1960s, including the implementation of the Community Telephone Plan. He later was a member of the team responsible for the introduction of Australia?s first computer-controlled trunk switching technology (known as 10C) in 1969. 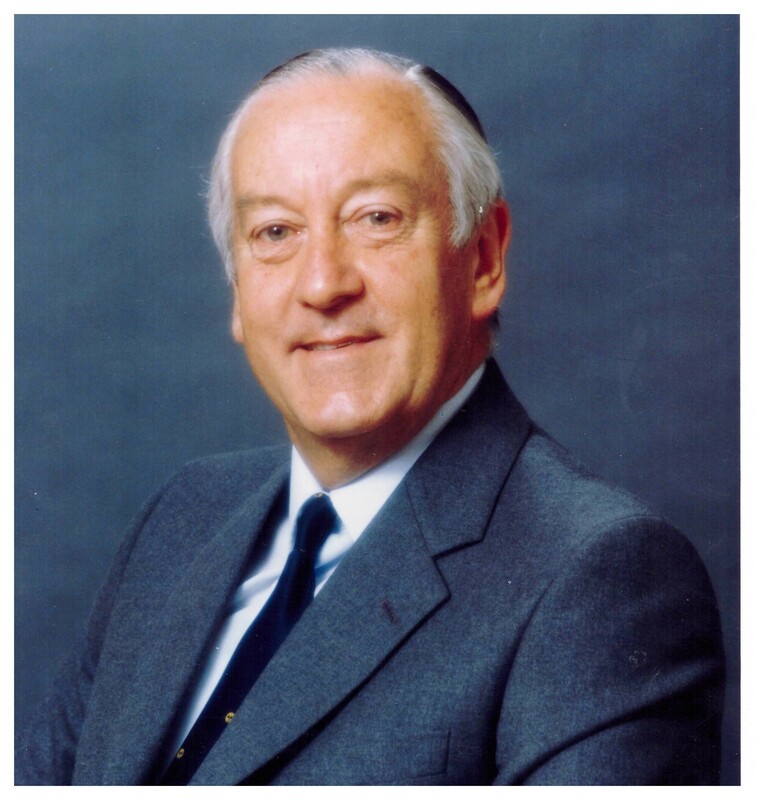 In 1972, Roger made a major career decision and decided to resign from the PMG and accept an invitation from the chairman of Plessey Telecommunications in the UK to become that company?s director of strategic planning, based in Liverpool. Roger had come to notice through his work both in Australia and internationally on planning and switching. At the time, Plessey was developing its computer-controlled switching systems and faced stiff competition in both British and international market places. Roger moved with his family (including by then two school-age children, Melissa and Jeremy) to the UK towards the end of that year. It turned out not to be a good decision. Roger saw that the experiment was not working out and chose to rejoin the PMG where he was welcomed back by the Director-General, Eber Lane. He returned in 1974 and his appointment was gazetted as an Engineer Class 1. However, within a week he was promoted from Engineer Class 1 to a senior managerial position at Level 2, Second Division. In other circumstances, this would have been a meteoric rise and, even as it was, it was remarkable. When Roger returned to Australia, the PMG was in considerable turmoil, planning for the separation of the organisation into two arms-length Government Business Enterprises, structured as Commissions, to carry out postal and telecommunications business, respectively, and a residual department of state. This followed the inquiry by the Vernon Commission into the Australian Post Office and the Government?s acceptance of its recommendations in April 1974. The new organisations were to commence operation on 1 July 1975 and much planning and negotiation was needed to have the legislation and the arrangements in place by that deadline. Roger participated in the process and was appointed as General Manager, Customer Services in the new Australian Telecommunications Commission (trading as Telecom Australia). This was a new role entirely for Roger and an unusual one. The monopoly businesses of Telecom were preserved by legislation, but were by no means secure. Telecommunications monopolies were under challenge in both the United States and the United Kingdom, and in many respects Telecom?s performance in delivering low cost, high quality services needed considerable improvement. It was Roger?s role and that of his new department to ensure that Telecom developed a commercial culture, and not just an engineering one as in the past. In the period immediately after 1975, much was attempted in terms of strengthening local management (the District organisation), developing customer management and marketing systems, improving billing and other back-office systems, and developing new and innovative products and services, especially in terms of data and text communications. Much was attempted, but the results were mixed. Telecom was a large organisation, with many forms of inertia and internal diversity. As other articles in this Journal have shown, changing culture in such circumstances is a complex and often protracted process. In 1980, Roger became Telecom?s Director of Business Development. In the next several years Telecom sought to transform its operations and culture further and faster, in response to the proposed market liberalisation and competition recommended by the Davidson Inquiry, and later to the actual competition introduced by the Hawke-Keating Government in the late 1980s. Until the early 1980s, Telecom business planning and development processes were undeveloped and not explicitly commercial. Roger?s new role involved rectifying this and bringing a strategic focus to bear. In that role, he recognised that many of the policy and business settings in which Telecom was operating needed to change, and that they were not always matters that should be left entirely to Government. He recognised the potential importance of mobile telecommunications and the need for Telecom to be at the forefront of developments in Australia. When appointed to the Business Development position, Roger was one of the very few people who highlighted that Telecom?s commissioning of the PAMTS (Public Automatic Mobile Telephone System) mobile telephone system in 1981 was too slow and inadequate, particularly as the Davidson Inquiry was being launched in 1981. A suitable cellular mobile system was not commissioned by Telecom until 1987, well after comparable countries. Roger also took a lead on addressing the issues associated with untimed local calls, calling for a review and the introduction of some limitations. The issue proved to be extremely controversial, which was taken up by political parties in an extremely partisan way. It has been widely blamed for the ALP government?s loss of the long-held seat of Adelaide at a by-election in February 1988. The media singled out Roger as the major Telecom spokesman on the matter. Figure 2. Roger Banks as Telecom?s Director of Business Development, 1986. The Government determined from the mid-1980s to use competitive policy settings and further reorganisation to transform the telecommunications sector. The initial stages were reflected in the arrangements in the Telecommunications Acts of 1986 and 1988. Roger considered that this offered a suitable and appropriate opportunity to pass the baton to others. He retired from Telecom in 1988, after a career of substantial achievement. Roger?s retirement was filled with substantial community involvement and service. He continued to participate in the councils of Brighton Grammar. He was an RACV councillor from 1992 to 2001 and RACV President from 1990 to 1993; a Vic Roads Board member from 1992 to 2005, and a Board member of the Monash University Accident Research Centre in 2005. 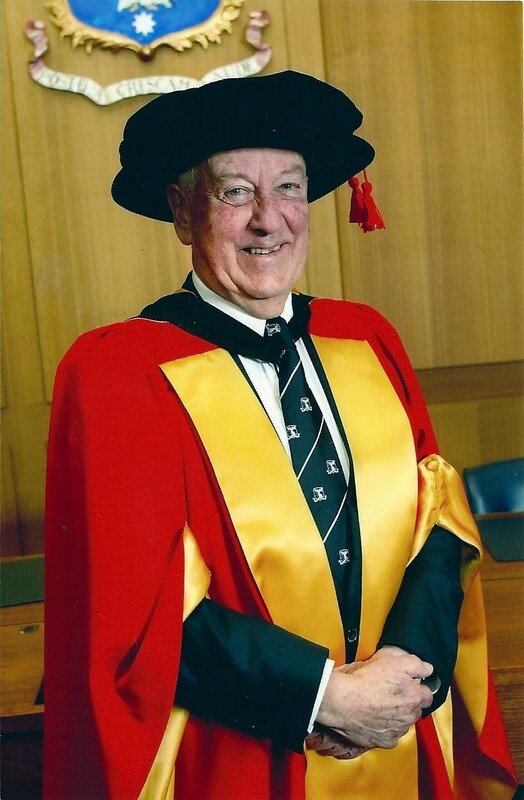 Roger was the honorary chairman of the Melbourne University Engineering Foundation from 1997 to 2007 and was awarded a doctorate honoris causa for his contribution to engineering and engineering education by Melbourne University in 2003. Roger took great pride in receiving that honour. During his post-Telecom years, Roger also undertook various consulting tasks promoting local telecommunications and IT firms. This was often undertaken in the role of good citizen. In more recent years, Roger became increasingly a carer for Molly until she was admitted to a care facility as her dementia progressed. Roger was his ebullient and sociable self, in good health and spirits up to the day of his death. He passed away in his sleep during the night of 25 January this year. He will be sadly missed by his friends and family and the countless telecommunications workers and engineering students to whom he gave support, encouragement and guidance over many years. Figure 3. Roger Banks when receiving an honorary Ph.D. from the University of Melbourne in 2003. This tribute to Roger has been prepared with the assistance of his daughter, Melissa, and son, Jeremy, and of former colleagues who worked with Roger in the PMG and Telecom Australia. Moyal, Ann. 1984. Clear Across Australia: a history of telecommunications, Melbourne: Thomas Nelson.